This officially licensed shower curtain is made of high-quality polyester jersey and features a screen-printed logo. ... CONTENTS: One jersey shower curtain measuring 72 x 72 inches (182.9 x 182.9 cm). 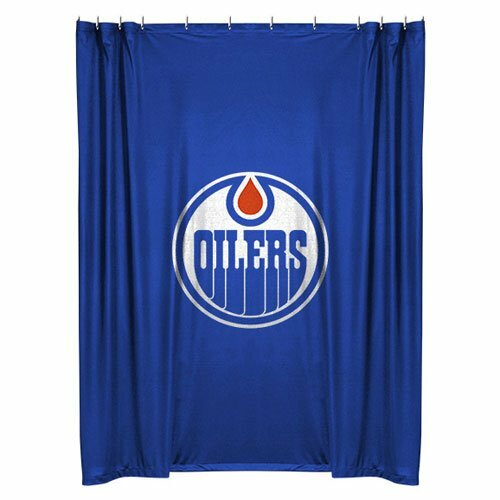 One NHL Edmonton Oilers logo shower curtain, 72 x 72 inches (183 x 183 cm).